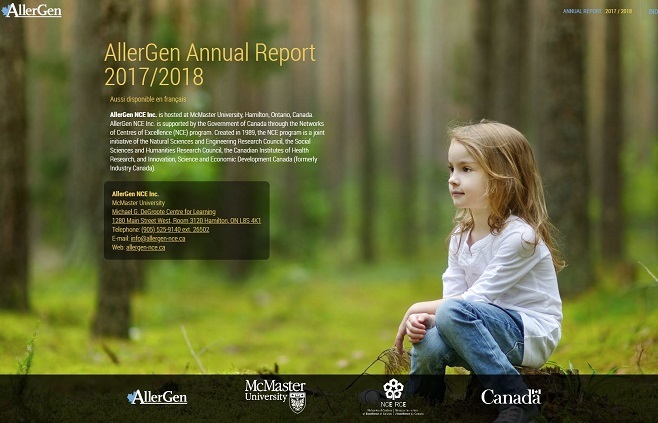 AllerGen has been transforming the Canadian allergy and asthma research, training and innovation landscape since 2005. Led by internationally recognized Canadian researchers with transdisciplinary expertise, the Network’s 34 active research projects and strategic initiatives aim to generate new knowledge; advance diagnostics, treatments and prevention strategies; and lay the groundwork for significant future discoveries to improve the quality of life of Canadians living with allergic disease. Can breastfeeding help protect babies from wheezing—and asthma later on? As a national research network, AllerGen research teams work with industry and community partners, and research receptor organizations across academia, industry, not-for-profit and government sectors. Together, they ensure that the Network’s scientific findings bridge the gap between the research lab and real life, to benefit Canadians living with allergic disease. In 2016-2017, AllerGen worked with 142 partners, engaging an average of 4.18 partners per research project. AllerGen’s Clinical Investigator Collaborative (CIC) was founded in 2005 to advance the development of new therapies to treat asthma. AllerGen helps its Network investigators to maximize the impact of their projects and to fill the gap between conducting research and developing a product or tool that can improve the lives of Canadians. In 2016-17, AllerGen supported six Network projects with their intellectual property (IP) and commercialization activities. Training the next generation of leaders and researchers in allergic disease is one of AllerGen’s most impactful achievements. AllerGen’s HQP training program has increased Canada’s research capacity, launched the careers of talented young investigators and clinician-scientists, and produced highly employable graduates working in diverse sectors. Since 2005, AllerGen has provided education, training and capacity-building opportunities to 1,493 trainees, research staff and early career professionals. The Network invests $500,000 annually in capacity-building programs that provide skill acquisition and development opportunities beyond the traditional training and mentorship provided within research projects. In 2016-2017, 347 HQP were involved in the AllerGen network: 267 actively working on AllerGen research projects, and 80 working on related research. In December 2016, Dr. Catherine Biggs received the prestigious AllerGen Emerging Clinician-Scientist Research Fellowship. AllerGen Research Skills Awards help the Network’s HQP develop strategically important and advanced research skills through individualized training experiences. Six AllerGen trainees took top honours across three categories of the 2016 AllerGen/Canadian Society of Allergy and Clinical Immunology (CSACI) Poster Competition. AllerGen Travel Awards continue to be highly sought after by Network investigators and HQP. These awards, matched 1:1 with partnered funding, provide trainees with unique opportunities for public speaking, networking, research collaboration, knowledge exchange, and skill acquisition and development. An animated musical about the harmful chemicals contained in plastic consumer products took first place in AllerGen’s 2016 HQP Video Competition. In 2016-2017, AllerGen's income from all sources (cash and in-kind) was $14,839,587. Of this amount, AllerGen received a base grant from the NCE in the amount of $5,216,500. It leveraged that funding to secure an additional $9,623,087 from other sources. Judah Denburg, MD, FRCP(C) (Chair) Scientific Director and CEO, AllerGen NCE Inc.
Diana Royce, EdD, observer Managing Director and COO, AllerGen NCE Inc.
Diana Royce, EdD (Chair) Managing Director and COO, AllerGen NCE Inc.
Judah Denburg, MD, FRCP(C) Scientific Director and CEO, AllerGen NCE Inc.
Luc Marengère, PhD Managing Partner, TVM Life Sciences Management Inc.
Diana Royce, EdD Managing Director and COO, AllerGen NCE Inc.
Over 170 delegates gathered in the Fairmont Waterfront Hotel in downtown Vancouver to participate in AllerGen’s 8th Research Conference: Connecting and Collaborating—Globalizing Advances in Allergic Disease Research, which ran May 29 through June 1, 2016. This was AllerGen’s first conference since the Networks of Centres of Excellence (NCE) program confirmed its funding through to 2019, guaranteeing the Network a full 14 years of support. The three-and-a-half day program united renowned Canadian and international experts in allergy, asthma, anaphylaxis and related immune disease research, development, commercialization and knowledge mobilization. Delegates spanned researchers and clinician scientists (38%), students and trainees (34%), research staff (15%), as well as NGO/not-for-profit, public sector and industry/private sector representatives (13%). The conference theme "connect‒collaborate‒innovate" underscored AllerGen’s commitment to fostering global connectivity between Canadian and international research teams and research users. The program included three keynote speakers and 10 plenary sessions with 32 speakers addressing a broad range of topics related to allergic disease. In dynamic presentations and panel discussions, AllerGen researchers provided new insights into basic and clinical science and translational research including: the developmental origins and mechanisms of action of allergic disease; new applications for epigenetics; the development of new asthma therapies; scientific advances and strategies for policy change in the area of food allergy; translational research with social impact; and personalized disease prevention and management. Other guest speakers included Professor Timothy Caulfield who spoke about celebrity “pseudo” science and its influence on our health-related behaviour, and three parents participating in the CHILD Study who shared their experiences as part of this national birth cohort. These diverse, multidisciplinary discussions facilitated the kind of dialogue and exchange envisioned by the conference objectives: to connect, collaborate and innovate. The conference also highlighted the Network’s HQP, with a poster competition (including, for the first time, a Knowledge Translation category) and associated 1-minute oral presentations, an HQP networking dinner and mentoring lunch, and numerous student presenters in the core sessions. AllerGen gratefully acknowledges the support of its 2016 Research Conference sponsors. 2016 Research Conference Poster Winners: Back (L to R): Stuart Turvey (Judge), Bahar Torabi, Marie-Claire Arrieta, Andréanne Morin, Jasemine Yang, Ted Konya, Judah Denburg (AllerGen Scientific Director), Meghan Azad (Judge) Front (L to R): Laura Feldman, Min Hyung Ryu, Sarah Svenningsen. Lisa Steacy, John Paul Oliveria, Mark Tenn, Sofianne Gabrielli, Leila Mostaço-Guidolin, Amrit Singh, Olivia Cheng, Melanie Emmerson. Cross-Network collaborations among AllerGen’s Enabling Platform teams have resulted in translational research results in food allergy, epigenetics and biomarker development that facilitated the development of new approaches to allergy diagnosis and clinical care. These collaborations have also supported the launch of The Canadian Urban Environmental Health Research Consortium (CANUE)—a new pan-Canadian research consortium that links exposome data with AllerGen research and CHILD Study data to advance our understanding of how cities can be designed or modified to improve population health. In 2016-2017, AllerGen teams joined with global partners to provide novel capacity building opportunities to outstanding young trainees and investigators, accelerating their rise through the academic ranks. AllerGen was also delighted to award its fourth Emerging Clinician-Scientist Research Fellowship, valued at $250,000, to support the development of Canadian clinician-scientists in the field of allergy and immunology. In August 2016, AllerGen hosted over 170 researchers, clinician-scientists, students and trainees, and public sector and industry partners in Vancouver, BC, for its 8th Research Conference: Connecting and Collaborating—Globalizing Advances in Allergic Disease Research. This three-day event promoted scientific exchange across disciplines and sectors, and featured trainee capacity building, networking and recognition. This has also been a year of change in AllerGen leadership. On June 1, 2016, Dr. Howard Bergman (Chair, Family Medicine; McGill University) stepped down as Chair of AllerGen’s Board of Directors after four years of service in this critical leadership role. Dr. Bergman’s deep understanding of the intersection of policy and health, his political and academic acumen, and his steady helmsmanship were central factors behind AllerGen’s successful NCE funding renewal in 2015, and the Network’s remarkable growth and achievement during his time as Chair. AllerGen was delighted to welcome Dr. Pieter Cullis (The University of British Columbia) as AllerGen’s fourth Chairman of the Board. An accomplished scientist, academic entrepreneur, and co-founder and Chair of the Personalized Medicine Initiative in British Columbia, Dr. Cullis is well-qualified to lead AllerGen through the final years of its NCE mandate, which will focus on the solidification of its legacy initiatives and the transition of its efforts to post-NCE operations. In addition, Dr. Kelly McNagny (The University of British Columbia) was appointed AllerGen’s Associate Scientific Director, effective June 1, 2016. A network investigator since 2006, Dr. McNagny is Research Co-leader of AllerGen’s Biomarkers and Bioinformatics Enabling Platform. 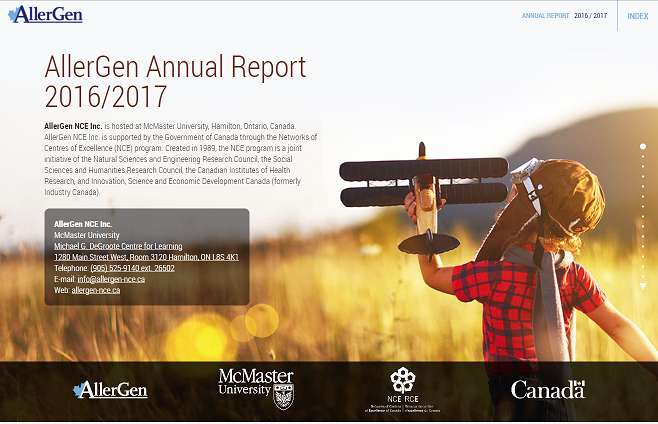 This Annual Report is a testament to the growing strength and depth of allergic disease research, capacity and impact across Canada. With it, we both celebrate AllerGen’s accomplishments to date and renew our commitment to realize still greater health and economic benefits for Canadians in the future. We wish to thank our investigators and trainees, our partners, the Board of Directors, Research Management Committee (RMC), AllerGen advisory committee members, and the Network’s leadership and administrative team for their contributions to AllerGen’s success. We also thank the NCE Secretariat and AllerGen’s host institution, McMaster University, for their continued championing of AllerGen’s vision, mission and goals. Dr. Anne Ellis, MD, M.Sc. Dr. Ann Clarke, MD, M.Sc. Owning a cat or dog might be a good thing when it comes to reducing the risk of childhood allergies and obesity, according to 2017 findings from the CHILD Study. The research, published in April 2017 in the journal Microbiome, and highlighted in Nature Outlook, found that babies exposed to furry pets in early life had higher levels of two gut bacteria that may protect against allergic disease and childhood obesity. “The abundance of these two bacteria, which help to train a baby’s developing immune system, was increased twofold in babies when there was a pet in the household,” says the study’s senior author, Dr. Anita Kozyrskyj, an AllerGen investigator and a professor in the Department of Pediatrics at the University of Alberta. The bacteria, Ruminococcus and Oscillospira, can be passed from pets to moms to fetuses during pregnancy, and directly from pets to infants during the first three months of life, according to Dr. Kozyrskyj. “We also found that the presence of pets could reduce the chances of a mother passing on a Group B Streptococcus (strep) infection during birth, which can cause pneumonia in newborns,” she adds. Her team analyzed data from 746 children and their parents participating in the CHILD Study. Information on pet ownership was reported by mothers during pregnancy and when infants were three months old. DNA sequencing techniques performed in the laboratories of CHILD Study researchers Drs James Scott and David Guttman at the University of Toronto provided data on the types and quantity of bacteria present in the infants’ stool. Almost half (47%) of the children lived in households containing furry pets both during pregnancy and in the first three months of life; 45% lived in households with no pets; and 8% lived in households that contained pets only during pregnancy. The study’s findings build on a body of evidence showing that children who grow up with dogs have lower rates of asthma, according to lead author Dr. Hein Min Tun, an Alberta Innovates Health Solutions (AIHS) postdoctoral fellow at the University of Alberta and one of AllerGen's Highly Qualified Personnel. This publication was the top-scoring microbiome paper across BioMed Central journals in 2017. Ultimately, the CHILD Study team hopes that these findings will contribute to new ways of modifying the gut microbiota that can be used to prevent or treat allergies and childhood obesity. Over half of Canadian chiropractic, naturopathic, homeopathic and acupuncture clinics claim that they can either diagnose or treat both allergy/sensitivity and asthma, according to an AllerGen study of nearly 400 clinic websites. AllerGen investigator Professor Timothy Caulfield, a law professor at the University of Alberta, a Canada Research Chair in Health Law and Policy, and a well-known expert in health and science policy issues, led the research. The results, published in the journal BMJ Open in December 2016, analyzed the frequency and content of marketing claims made by complementary and alternative medicine (CAM) providers in the 10 most populous cities across the country. "We found that CAM practitioners, particularly naturopaths, offered a wide-range of tests and treatments—everything from immunotherapy and intravenous hydrogen peroxide to ionic footbath detoxification—for allergy and asthma,” says Professor Caulfield. “This research revealed that these interventions are presented to the public as legitimate; however, for the most part they are not based in science and lack any substantial evidence of efficacy." Imagine that your cells could be “re-engineered” to reduce your asthma symptoms or eliminate your food allergy. AllerGen Research Leader Dr. John Gordon at the University of Saskatchewan has found a way of doing this in mice, and he believes that the technique holds promise for humans, too. Dr. Gordon’s team has developed a therapy that uses dendritic cells, a type of immune cell that plays a role in either activating or turning off immune responses in allergies or asthma. Their October 2016 paper in The Journal of Allergy and Clinical Immunology showed that in mice, the therapy reduced the anaphylactic (severe allergic) response to peanut and egg white proteins by up to 90%. Building on their previous work using dendritic cells to reverse asthma-related allergic sensitivity in mice and in human cells in a test-tube, Dr. Gordon’s team created a new type of dendritic cell that can turn off the allergic response that occurs with a food allergy. First, they extracted dendritic cells from mice, then modified the cells by exposing them to a vitamin A by-product (known to help regulate a healthy immune response to foods) and to two common food allergens—peanut protein or egg white protein. The researchers then fed allergic mice with peanut or egg white protein until symptoms of anaphylaxis developed, and treated one group with the modified dendritic cells and another with a simple saline solution. A month later, the researchers fed the mice the same food allergens and observed that within four weeks, mice that received the dendritic cell treatment had a 50% to 90% lower anaphylactic response compared to those treated with saline. “We also analyzed the compounds the new dendritic cells produced,” says Wojciech Dawicki, an AllerGen trainee and research associate who was the study’s lead researcher. “The cells produced the immune protein interleukin-27 (IL-27) in abundance—and IL-27 is important for making T-cells that turn off or reduce the severity of immune responses.” The team confirmed the key role of IL-27 by demonstrating that when this protein was absent, the new dendritic cells no longer reduced the allergic response. Although a treatment that can help people overcome food allergies is likely years away, the researchers believe the study’s findings support the development of new dendritic cell therapies for the treatment of food allergies, asthma and related immune system conditions in humans. Remarkably, between 20% and 50% of babies experience at least one episode of wheezing (a whistling sound in the chest) during their first year of life. New CHILD Study research has shown that babies who are breastfed longer are less likely to wheeze, putting them at a lower risk for asthma later on. For babies born to mothers with asthma themselves, the protective effect of breastfeeding is even more pronounced. Published in the European Respiratory Journal in May 2017, the study found that at three months of age, infants who were exclusively breastfed had a 26% reduced rate of wheezing compared to infants who were not breastfed. Breastfeeding was similarly protective at six months of age, and at one year, infants who were still being breastfed had a 33% reduced rate of wheezing compared to those who breastfed for less than six months. Using data from over 2,700 Canadian mothers and their babies participating in the CHILD Study, the researchers also showed that the benefits of exclusive breastfeeding were diminished by supplementation with infant formula before six months of age, but not by the introduction of solid foods. “The World Health Organization (WHO) recommends exclusive breastfeeding for six months, yet there is emerging evidence that earlier introduction of certain solid foods may reduce the risk of food allergies—and this research may help to inform changes to infant feeding guidelines,” adds Dr. Azad, who is an assistant professor in the Rady Faculty of Health Sciences at the University of Manitoba and a research scientist at the Children’s Hospital Research Institute of Manitoba. AllerGen trainee Lorena Vehling was also part of the research team. The most important message arising from the research, according to Dr. Azad, is for parents and healthcare professionals to know that all mothers, including those with asthma, can help their babies develop healthy lungs and reduce their risk of wheezing by breastfeeding. Press Release: Can breastfeeding help protect babies from wheezing? Now, a new pan-Canadian research consortium aims to link exposome data with health information from AllerGen’s CHILD Study and other Canadian cohort and health databases. The goal? To understand how living in cities affects our health – and how we can better design our cities with health in mind. The CANadian Urban Environmental (CANUE) Health Research Consortium is a five-year, $4.1 million project funded in 2016 by the Canadian Institutes for Health Research (CIHR) as part of their Environments and Health Signature Initiative. Led by AllerGen Research Leader Dr. Jeffrey Brook (Assistant Professor, Dalla Lana School of Public Health, University of Toronto; Senior Scientist, Environment and Climate Change Canada), CANUE unites over 150 environmental health experts in academia, government, and the not-for-profit and private sectors from coast to coast. These data will be sent to the CHILD Study and other health databases, where they will be linked with anonymized health information to study how these multiple environmental factors are linked to a wide range of health outcomes. CANUE will also link AllerGen’s Gene and Environment (GxE) project data to CANUE’s urban form and environmental data, allowing for insights of value to policy and decision-makers. Alongside Dr. Brook, seven AllerGen investigators participate in CANUE’s core research team, including Co-Principal Investigators Drs Michael Brauer and Padmaja Subbarao, and Co-Investigators Drs Meghan Azad, Chris Carlsten, Greg Evans, Wendy Lou and Tim Takaro. A 2016 AllerGen International Research Visit award enabled Dr. Christopher Rudulier to train at Stanford University. He is now one of the few Canadians to understand how RNA Seq and Cytof technologies can be applied to generate new discoveries about asthma and food allergies. Dr. Philippe Bégin received the 2016-2017 FRQS-AllerGen Clinical Research Scholars - Junior 1 Career Award. The award, which recognizes outstanding young clinical investigators who wish to pursue research on allergic and related immune diseases, will further Dr. Bégin’s work on desensitization and the re-establishment of oral tolerance in patients with severe food allergies. The FRQS-AllerGen award supports young clinical investigators in the province of Quebec pursuing allergic and related immune disease research. In 2013, Dr. Bégin was the recipient of AllerGen’s Emerging Clinician-Scientist Fellowship and spent two years at the Stanford Alliance for Food Allergy Research conducting clinical and translational research on oral immunotherapy (OIT). Dr. Bégin is an allergist-immunologist and adjunct clinical professor at the Centre Hospitalier de l’Université de Montréal and CHU Sainte-Justine. Drs Aida Eslami and Christopher Rider were among 28 post-doctoral researchers granted 2016 MSFHR Trainee Awards. The BC-based awards will support these AllerGen trainees for up to three years as they establish their careers while training alongside AllerGen investigators at The University of British Columbia (UBC). Dr. Eslami’s award, co-funded in partnership with AllerGen, will help to advance her research on the underlying genetic mechanisms associated with asthma. Dr. Eslami is a postdoctoral fellow in the laboratory of AllerGen investigator Dr. Denise Daley at the Centre for Heart Lung Innovation. AllerGen’s Success Stories is written for Canadian families and healthcare providers, providing them with up-to-date information on cutting-edge research into asthma, allergies and anaphylaxis—exploring what causes these illnesses, how better to manage, treat and prevent them, and steps towards finding cures. Success Stories also features the accomplishments of AllerGen’s Highly Qualified Personnel. Since 2010, AllerGen has published and distributed 10 issues of Success Stories to over 1,200 Network participants, partners and knowledge users. Success Stories is available in both English and French. Click on a cover below to view the issue. "Every scientist should be able to explain what they are doing, why, and how to non-specialists. It is important not just for public communication, but it will make you much better at communicating to scientists." A new online database is helping AllerGen researchers and trainees share their findings beyond the pages of peer-reviewed journals. ResearchSKETCHES provide short, readable summaries of Network research, emphasizing why the research should matter to readers of all backgrounds. By providing editorial support and training in lay writing, the ResearchSKETCHES program builds knowledge mobilization capacity among AllerGen’s Highly Qualified Personnel (HQP) and helps young researchers to make their findings accessible, relevant and easy to understand to a broad lay audience. AllerGen gratefully acknowledges the support of McMaster University’s Media Production Services and ResearchSNAPS toward the creation of the ResearchSKETCHES database, and the development of the clear-language summary template by Research Impact at York University. Visit ResearchSKETCHES on AllerGen’s website. What happens to our kids’ health as they enter elementary school? What physical (and emotional) challenges emerge during the high-school years? What ‘nature versus nurture’ factors should we study among school-age kids to help promote health and wellbeing later in life? In casual 'open space' discussions with with representatives of Canadian child and youth health organizations, CHILD Study researcher Dr. Meghan Azad laid out these provocative questions and then sat back to listen. The discussions took place on April 6, 2017, as part of the CHILD Study’s knowledge mobilization outreach at the 2017 Sandbox Summit. The event was the 6th annual conference hosted by The Sandbox Project, a national youth charity and an AllerGen Legacy Partner. “Engaging in conversations with grassroots child and youth health advocates helps us to understand the research priorities of hard-to-reach and vulnerable communities, and to translate the knowledge gained from CHILD research back to these communities,” says Dr. Azad, an assistant professor in the Rady Faculty of Health Sciences at the University of Manitoba. “Screentime, physical activity, and social interactions with peers seem to be big areas of interest, as are neuro-development, school performance and mental health,” she said. Dr. Azad also chairs a new multidisciplinary CHILD Study Stakeholder Advisory Group Committee. Made up of roughly a dozen members of the public, Study parents, not-for-profit organizations, government representatives, medical and knowledge mobilization experts, the pan-Canadian committee provides advice regarding strategies for translating CHILD Study discoveries into products and tools that benefit parents and communities. The 3,500 or so families currently participating in CHILD are also lending a hand to inform broader questions of child health and development, according to Dr. Diana Lefebvre, the Study’s research manager. “The participating families are eager to know what will happen to the CHILD cohort as they reach puberty.” Will the kids who have asthma now at age five outgrow it later? Will new cases pop up? Will any of the kids start showing signs of obesity and cardiovascular disease? Dr. Meghan Azad presents CHILD Study findings at the 2017 Sandbox Summit, Toronto, ON. A research finding does not automatically have a social impact. Research only has impact when it is used to inform new practices, products, policies, processes and services that ultimately touch the lives of Canadians. On June 27, 2016, the NCE Secretariat held its 2nd Annual NCE Knowledge Mobilization Symposium in Toronto, ON, to help its Networks and Centres ensure that their research and training investments result in social impacts. “NCE Symposium - The Conditions for Impact” attracted over 50 participants from NCE Networks, NCE Knowledge Mobilization (KM) Networks, and Centres of Excellence for Commercialization and Research (CECR). 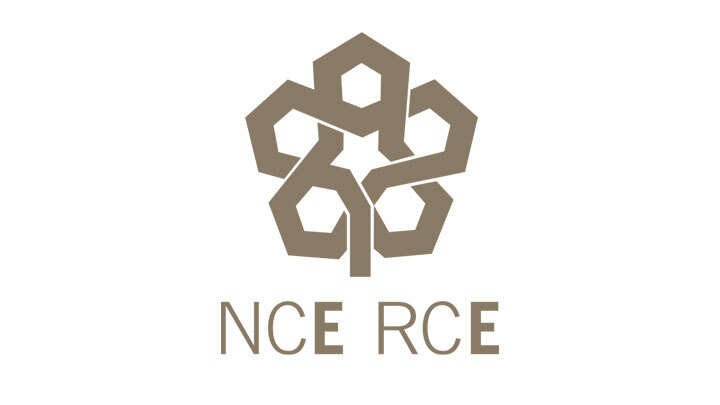 AllerGen, along with Serene-RISC, PREVNet, and NeuroDevNet, contributed as a member of the NCE Symposium Planning Committee. The Post-Symposium report highlights the workshop’s activities, discussions and recommendations. Sylviane Duval, member of AllerGen’s Network-Supported Intellectual Property (NSIP) Advisory Committee, and Kim Wright, AllerGen’s Director of Communications and Knowledge Mobilization (KMb), were presenters at the 5th Annual Canadian Knowledge Mobilization Forum (CKMF), held June 28- 29, 2016, in Toronto, ON. The two-day interdisciplinary conference provided learning opportunities and professional development experiences for practitioners, researchers, students, administrators, thought leaders, and others engaged in the art and science of knowledge mobilization (KMb). It hosted over 230 attendees from across Canada, Switzerland, the United States, and the United Kingdom. Ms. Duval engaged the audience with the concepts of “nudge” and “choice architecture”—ways of subtly influencing people’s decisions—and questioned their applicability to the practice of knowledge translation. Ms. Wright shared insights from AllerGen’s successful KMb experience producing the award-winning whiteboard video about the CHILD Study. The CKMF was founded in 2012 and brings together a diverse group of KMb professionals to create better practices, better policies and supports, and more efficient implementation procedures for knowledge mobilization. In January 2016, AllerGen introduced a new CHILD Study video showing how breathing in traffic fumes during the first year of life can increase the risk of allergies later on. The research, led by Dr. Michael Brauer and Dr. Hind Sbihi of The University of British Columbia (UBC), used data from children in four Canadian cities and found that that babies who were exposed to higher levels of traffic pollution during their first year of life were at greater risk of developing sensitivity to things like milk or peanuts, household mould, and even to cats and dogs. “With the increasing rates of allergies amongst children in Canada and elsewhere, we were interested in determining if air pollution from traffic might be partially responsible,” said Dr. Brauer, a professor in the School of Population and Public Health at UBC. Their findings, published in the journal Environmental Health Perspectives, were widely reported by media outlets, including CBC, The Telegraph (UK), The Toronto Sun, The Vancouver Sun, Global News, and The Times-Colonist. Watch the two-minute video to find out how air pollution puts kids at allergy risk. Dr. Barwick was one of a slate of prominent specialists featured in AllerGen’s “Knowledge Translation for Research Success” webinar series, focusing on how to mobilize research evidence to benefit society. The series was delivered to researchers, students, community partners and other NCEs in Fall 2016 and Winter 2017. Sylviane Duval discussed the principles of plain writing and offered advice on how to use simple, precise words to present complex concepts that a lay audience can understand—ultimately, to better convey the message. Melanie Barwick described how knowledge translation is growing in importance and relevance for health researchers, and identified a range of tools that researchers can use to integrate KT into a science program. Link to a summary of her key messages, her slide presentation, and a video of her webinar. Drawing from their success in communicating with the media about their work on asthma and microbes, Drs Finlay and Arrieta shared some lessons learned, as well as do’s and don’ts when it comes to popularizing science, from both a Principal Investigator and a Postdoctoral point of view. Link to a summary of their key messages, their slide presentation, and a video of their webinar. Timothy Caulfield shared insights from his research on misinformation propagated by complementary and alternative practitioners, and discussed how researchers can respond to misinformation, taking into consideration relevant laws, policies and science communication strategies. Link to a summary of his key messages, his slide presentation, and a video of his webinar. Maureen Dobbins explained how evidence-informed decision-making can be integrated into organizational structures and processes, using examples from her work with public health departments across Canada over the past two decades. Link to a two-page summary of her key messages, her slide presentation, and a video of her webinar. With expertise in both allergic asthma (AA) and severe asthma (SA), the CIC conducts Phase II clinical trials to evaluate the efficacy of new molecules and compounds for the treatment of asthma in either the upper or lower airways. The CIC’s globally unique allergen inhalation challenge (AIC) model and proprietary standard operating procedures (SOPs) ensure accurate, rapid and cost-effective clinical trials with uniform results across the CIC’s multiple sites. The CIC’s clinical trials have also delivered novel data on the pathophysiology of asthma. Publications in high-impact scientific journals have generated significant media exposure from outlets such as CTV News, MarketWatch, Washington Post and the San Francisco Chronicle, among others. The AA-CIC reliably identifies those compounds that merit continued development for the treatment of allergic asthma and those that are likely to fail in Phase III clinical trials, allowing industry partners to prioritize their discovery investments. From 2005 to 2017, the AA-CIC has completed or undertaken 21 clinical trials with biotechnology and pharmaceutical companies including AIM, Alexion, Altair, Amgen, Asmacure, AstraZeneca, Axikin, Boehringer Ingelheim, Genentech, IVAX, MedImmune, Novartis, ONO, Schering Plough, Topigen, and Wyeth. Led by Drs Paul O’Byrne and Gail Gauvreau (McMaster University), the AA-CIC has attracted nearly $24M in global biopharmaceutical investments to Canada and created over 41 jobs for scientists, trainees and research associates. Although severe asthma accounts for only 5%-10% of the asthmatic population, this condition represents over 50% of the costs related to asthma care, and seriously impacts the health and wellbeing of as many as 250,000 Canadians. Led by Dr. Parameswaran Nair (McMaster University), the SA-CIC works with industry partners to evaluate new molecules for the treatment of SA, study the mechanisms of the disease, and develop and evaluate novel biomarkers for this debilitating condition. Since its inception in 2012, the SA-CIC has completed or undertaken 6 clinical trials with companies such as GlaxoSmithKline, AstraZeneca, Novartis, Teva, and Sanofi, and attracted $1.1M in international investments. CyTOF (cytometry by time-of-flight) technology is a new single-cell analysis technique that allows researchers to identify previously undetected cell subsets, deepening their understanding of cell biology and human disease. AllerGen has invested in its investigators' blood biomarker research since 2009 and a CyTOF-specific project since 2014. In December 2016, Dr. McNagny and colleagues filed an Intellectual Property (IP) disclosure related to the use of CyTOF technology to identify rare blood cells involved in the development of allergic asthma. The technology will analyze cord blood from the CHILD Study and samples from the Clinical Investigator Collaborative (CIC) with the goals of predicting allergic disease and uncovering a potential target for therapy. In June 2017, AllerGen Research Leader Dr. Befus and colleagues published the first evidence that the protein known as calcium binding protein spermatid specific 1 (CABS1) is readily detectable in human saliva and that its levels are influenced by acute psychological stress and feelings of negative mood or emotional distress. With a decade of AllerGen research support behind them, Dr. Befus’ team filed an Intellectual Property (IP) disclosure in 2016, followed by a full patent application in 2017. They aim to develop a non-invasive CABS1-based saliva test to predict, diagnose and ultimately treat stress-related conditions. In 2016-17, the team attracted $50,000 in partner cash and in-kind contributions. In April 2016, Dr. Tebbutt and colleagues filed an Intellectual Property (IP) disclosure outlining a new blood-based biomarker test that can identify individuals susceptible to developing a “late-phase” asthmatic response. The late-phase asthmatic response is a delayed response that occurs three to four hours following an initial asthmatic reaction. This response may last for hours or days and is thought to occur mainly in more sensitive asthmatic individuals. The biomarker test, which uses NanoString technology, may be useful both for identifying a new target for an asthma therapeutic and as a method to screen patients who will exhibit a late-phase response for clinical trials. The disclosure has emerged from research that Dr. Tebbutt has been pursuing with AllerGen support since 2007. In 2016-17, the research team attracted $50,000 in partner contributions (cash and in-kind). Using data from AllerGen’s CHILD Study, the Finlay and Turvey labs discovered that four types of gut bacteria may protect children from developing asthma. Their findings, published in 2015 in Science Translational Medicine, open the door to the possibility of diagnosing earlier those children who are most at risk for developing asthma by testing their microbiome, as well as the development of specialized probiotic treatments to manipulate the microbiome early in life. In 2015, the researchers filed an Intellectual Property (IP) disclosure related to their discovery, and have since licensed the IP to Commense, a US-based microbiome startup owned by PureTech Health. The licensing agreement will advance the development of a microbiome-based therapy directed toward the prevention of asthma and other allergic diseases that present in childhood. Dr. Adamko has developed a simple urine test that can detect damaged tissue and reduced lung function caused by asthma and allergies. The test will use a mass spectroscopy scan to check for telltale molecular markers associated with asthma. AllerGen has invested in this research and technology since 2007, and continues to support Dr. Adamko’s start-up company Respirlyte Inc. In 2016-17, Dr. Adamko attracted $295,000 in partner contributions (cash and in-kind). He was also awarded $235,000 by the Western Economic Diversification Canada program to further develop and commercialize this non-invasive urine test, which has the potential to change the way Canada’s doctors diagnose asthma. Drs Evans and Brook are developing AirSENCE (Air SENsor for Chemicals in the Environment), a novel technology for monitoring air quality. The device uses a panel of sensors to gauge the levels of five common air pollutants: nitrogen oxides, ozone, carbon monoxide, carbon dioxide, and particulate matter. The portable sensor can be mounted outdoors or indoors, and produces air quality data that can be instantly accessed through a smart phone. Following a successful pilot test of the device during the 2015 Pan Am Games, the researchers are now conducting a larger-scale evaluation of AirSENCE in Beijing, China and expanding its use in the Greater Toronto Area. By Fall 2017, AirSENCE devices will be installed along the King Street and Yonge Street corridors in Toronto, and in the neighbouring cities of Guelph and Mississauga on lamp posts and utility poles. In addition to research support from AllerGen since 2007 and $221,000 in partner contributions secured in 2016-17, the team has financial backing from the Ontario-China Research and Innovation Fund, and is collaborating with AUG Signals, a Canadian company. Photo: SOCAAR/AirSENCE; technicians mount an AirSENCE device on a King Street (Toronto) streetcar. This is the fourth such fellowship that AllerGen has awarded since 2011. Valued at $250,000, these awards enable newly trained Canadian allergists and immunologists to advance their research expertise and pursue a combined career as clinicians and academic researchers. During the two-year Fellowship, Dr. Biggs will train under the supervision of AllerGen investigator Dr. Stuart Turvey, pediatric immunologist and director of clinical research at BC Children’s Hospital, and professor at The University of British Columbia (UBC). “Bringing Dr. Biggs back to Canada with this important AllerGen Fellowship is a big win for the Canadian clinical immunology community,” says Dr. Turvey. Since 2011, 27 Research Skills Awards have enabled HQP to participate in a vast range of training opportunities, including scientific courses, workshops, and specialized research visits. In 2016-17, three Research Skills Awards recipients credited the program with helping them develop critical technical and analytical skills. AllerGen supports and funds exceptional undergraduate students though its Summer Studentships award program, with up to $3,000 in support being matched 1:1 by Canadian partner organizations. Each year, the program funds 10 students to work full-time during the summer with an established AllerGen investigator and research team. AllerGen Summer Studentships aim to promote interest in allergic and related immune disease research among undergraduate students and to encourage future study and a career in related allergic disease research or clinical practice. Since 2012, AllerGen has awarded 50 AllerGen trainees with a Summer Studentship. The competition was held, for the fourth consecutive year, in conjunction with the Annual Scientific Meeting of AllerGen’s legacy partner, the CSACI. The CSACI Scientific Meeting and Poster Competition took place from September 29 to October 2, 2016, in Montreal, QC. L to R: Michelle North, Elizabeth Simms, Rishma Chooniedass, Keely Loewen, John Paul Oliveria, Bassel Dawod. To date, more than 300 awards have helped AllerGen trainees travel to meetings, conferences and workshops around the world to share their research through oral and poster presentations, and to network with experts in the field. In 2016-2017 alone, 42 AllerGen Travel Awards helped to send HQP to 16 high-profile events, including the American Thoracic Society International Meeting, the American Academy of Allergy, Asthma and Immunology Annual Meeting, the Keystone Symposia, the European Academy for Allergy and Clinical Immunology Conference, and the European Respiratory Society International Congress. L to R: Danay Maestre-Batlle, Agnes Yuen, Chris Rider, Denise Wooding, Min Hyung Ryu. Photo: C. Rider. “The Phthalates Song,” created by Evelyn Gunawan, Min Hyung Ryu and Agnes Yuen, received top ranking from an expert panel and won the popular vote on YouTube. Members of the HQP team behind the video work together in the Air Pollution Exposure Laboratory, run by AllerGen investigator Dr. Christopher Carlsten at The University of British Columbia. “AIC Model in Allergic Asthma,” by Zhaoyun (Jack) Zhang, Shawn Khan and Abi Kirubarajan, placed second in the competition. The video describes the Allergen Inhalation Challenge (AIC) model, which allows clinicians and scientists to induce a controlled allergic asthma exacerbation in clinical trial subjects to test the safety and effectiveness of new asthma treatments. The video production team is composed of students working in the Cardio-Respiratory Lab of McMaster University under the supervision of AllerGen investigator Dr. Gail Gauvreau. The HQP Video Competition challenges ASNPN members to create short videos highlighting the important findings in their allergic disease research in a manner that is understandable and engaging to a lay audience. The AllerGen Students and New Professionals Network (ASNPN) is a membership program open to trainees (undergraduate students to postdoctoral fellows), research staff and early-career researchers working in the field of allergic disease in Canada. The ASNPN is governed by an elected Executive Committee, which meets five times per year by teleconference. The ASNPN President sits as an observer on the AllerGen Board of Directors and is a full voting member of the Advanced Education and Training Opportunities Advisory Committee (AETOAC). The ASNPN Vice-President sits as an observer on AllerGen’s Research Management Committee (RMC). On February 11, 2017, AllerGen HQP Laura Feldman joined an exclusive audience of more than 100 women and girls to celebrate the 2017 International Day of Women and Girls in Science, held at Facebook Canada’s headquarters in Toronto, ON. AllerGen supports women in science to develop advanced-stage research expertise. Through its diverse initiatives, AllerGen’s HQP program has attracted and retained a high proportion of female researchers in a gender ratio that exceeds the national average according to data collected by the Natural Sciences and Engineering Research Council of Canada (NSERC). CIC’s first human trial of unique asthma drug shows reduced symptoms after exposure to inhaled allergens. Try it, you’ll like it: CHILD Study shows delaying introduction of allergenic foods to infants may increase the likelihood of a food allergy later on.